Our vision is for a Lifetime of Equality, Respect and Love for Care Experienced people. If you agree that all children should grow up feeling loved, then please consider supporting our work by fundraising for us. We have lots of different fundraising activities throughout the year that you can get involved in. We’ll support you along the way with information packs and by giving you all the help we can to ensure you can raise the target you set yourself. Join our Who Cares? Scotland Kiltwalk team this year and #walkwithloveforlove alongside our Care Experienced members. The Kiltwalk is a unique Scottish charity event, which is held in Glasgow, Aberdeen. Dundee and Edinburgh. It brings thousands of walkers of all ages and abilities together to have an unforgettable fun day and support their chosen charity. 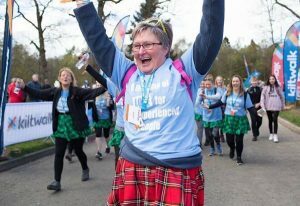 You can find out more about how to get involved, at our Kiltwalk page. Got a fundraising idea of your own? 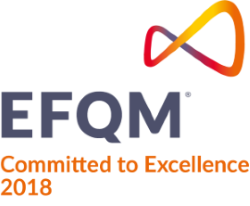 Whether you are an individual, a corporate parenting organisation, a business or network of people with an idea – we’d love to hear from you. Contact Gavin Sinclair, our Fundraising and Partnerships Manager, at gsinclair@whocaresscotland.org or 0141 226 4441. If you would prefer to donate, we would be over the moon to receive this – whether it’s a one-off or monthly donation. You can find out more at our donation page. 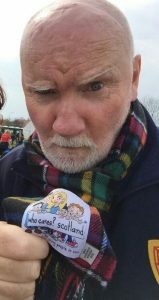 If you donate £10 a month we will send you one of our Care Family tartan Scarves as beautifully modeled by Sir Tom Hunter.